Belgium Prime Minister Charles Michel apologized to thousands of children who were detached from their families during the colonial period in African Colonies because of mixed race. (Photo PM C.Michel office). 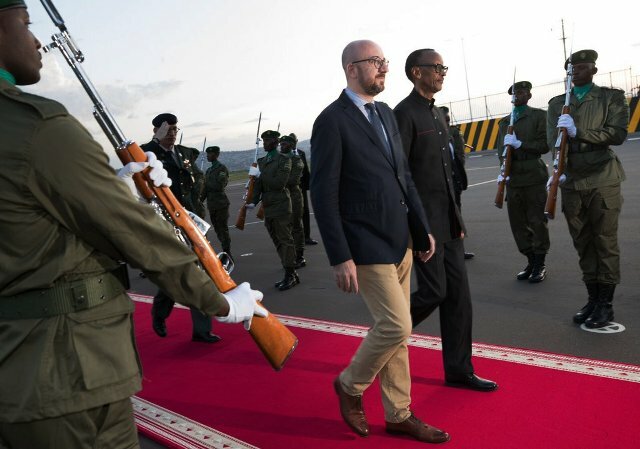 Brussels, 5 April 2019 - Middle East Diplomatic - Belgium Prime Minister Charles Michel apologized to children who were detached from their families during the colonial period in African Colonies. Thousands of children born to mixed-race couples during its colonial rule of Burundi, Congo and Rwanda have been kidnapped, segregated, deported and forced to adoption. PM Michel also recognized the targeted segregation of Métis people under the colonial administration of the Belgian Congo & the Ruanda-Urundi until 1962 and after decolonization, as well as the policy of forced kidnappings in eight decades. Despite all criticism in many decades, it’s the first time that Belgium has recognized its responsibility over the crimes against people of Africa. “Throughout Belgian colonial Africa, a system of targeted segregation of métis and their families was maintained by the Belgian state and acts were committed that violated the fundamental rights of peoples,” Prime Minister Charles Michel said. “This is why, in the name of the federal government, I recognize the targeted segregation of which métis people were victims” under Belgian colonial rule in Africa, and “the ensuing policy of forced kidnapping” after independence. Mr Michel continued: “In the name of the federal government, I present our apologies to the métis stemming from the Belgian colonial era and to their families for the injustices and the suffering inflicted upon them. I also wish to express our compassion for the African mothers, from whom the children were taken”. Now, the Belgian government would make resources available to finance additional research on the issue, open up its colonial archives to métis people and offer administrative help to those seeking to gain access to their official records and seeking Belgian nationality.